Story Planet is a non-profit organization that empowers children from under-resourced communities to make and share their stories, by hosting creative workshops that foster self confidence and help build communication skills. 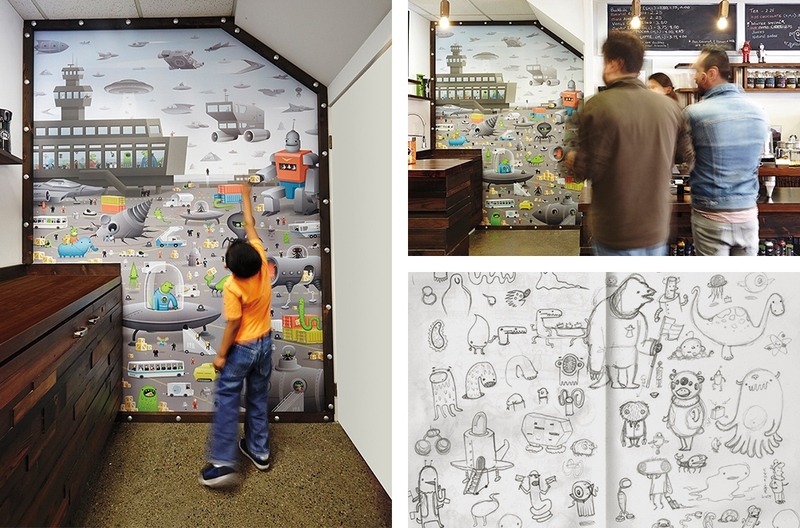 I created this mural for their space-themed children’s learning centre in Toronto. The concept is that the centre is a travel hub for intergalactic travel, so I wanted to depict a typical day in the operations of such a facility. 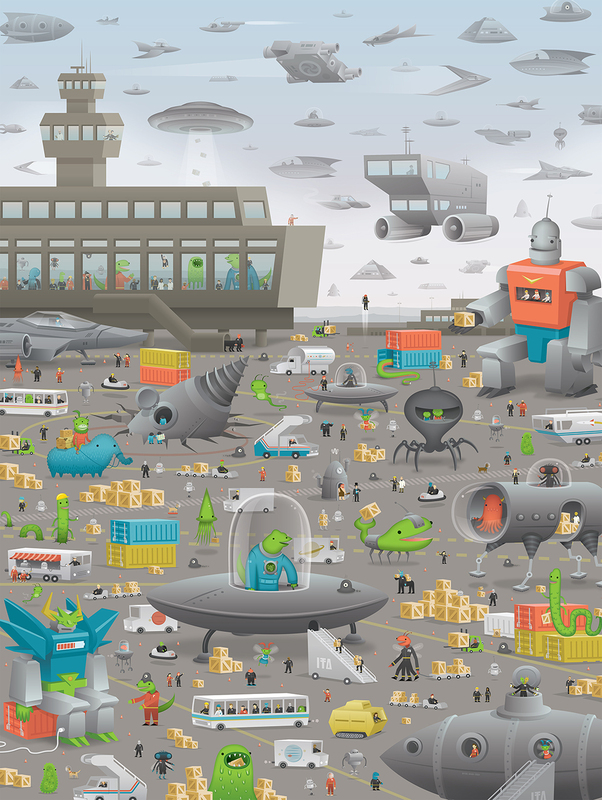 A throng of robots, time travellers, fly-people, cybernetic whales, and other sentient organisms hurry along the tarmac, in a rush to catch their rides and make their shipments of interstellar curiosities.